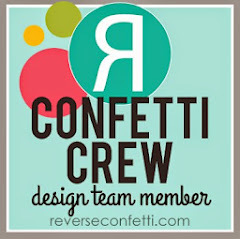 Hey friends, I'm on the Reverse Confetti blog today. Hope you'll join me over there! Happy Saturday friends! I'm excited to share my card sample for Reverse Confetti's November Sketch For You To Try. 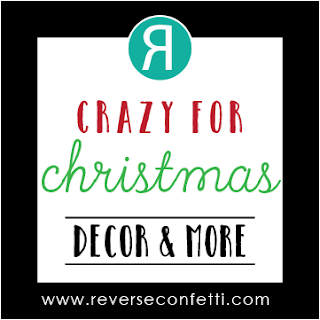 The deadline to join in the fun is approaching (noon CST November 29), so be sure to get your entry linked up HERE for a chance to win a Reverse Confetti gift certificate. 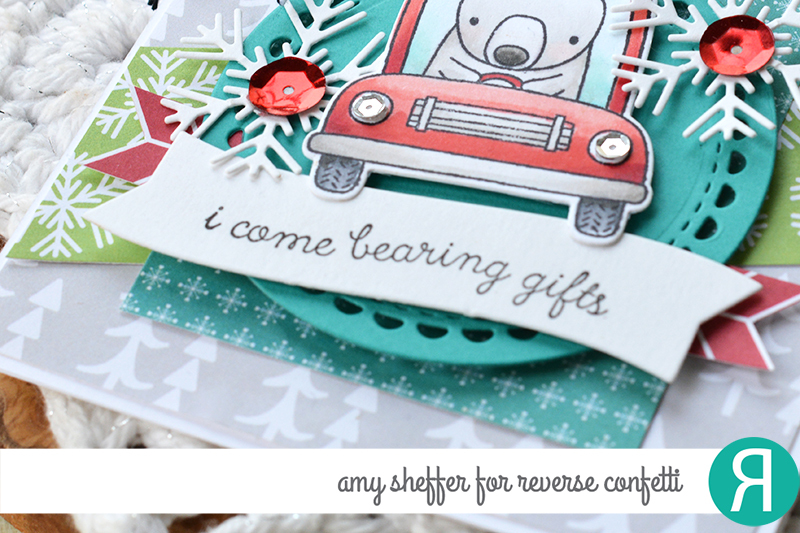 I adore this sweet image from Bearing Gifts. I did my coloring with Copic markers, then die-cut the image using the corresponding Bearing Gifts Confetti Cuts die. 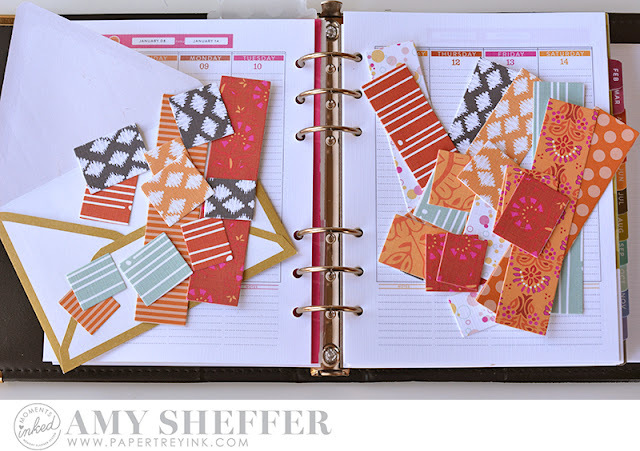 The November sketch is perfect for layering patterned papers. 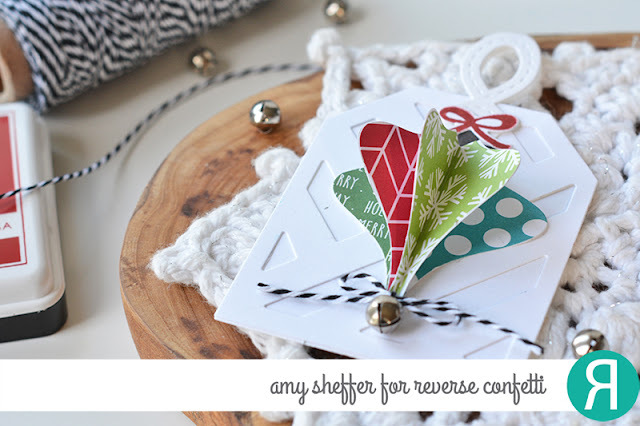 I've pulled from Reverse Confetti's Very Merry and Warm Heart paper collections. 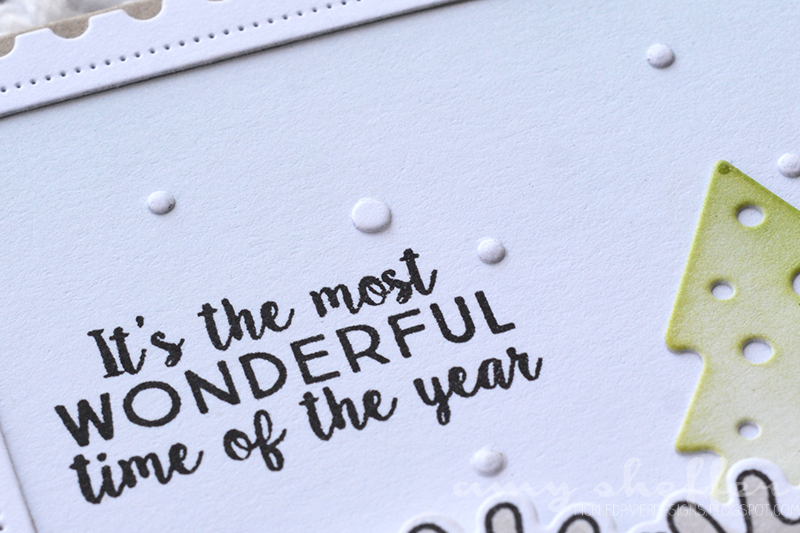 The sentiment is stamped onto a banner that I die-cut from Cloud White card stock using one of the Flowers for Mom Confetti Cuts dies. 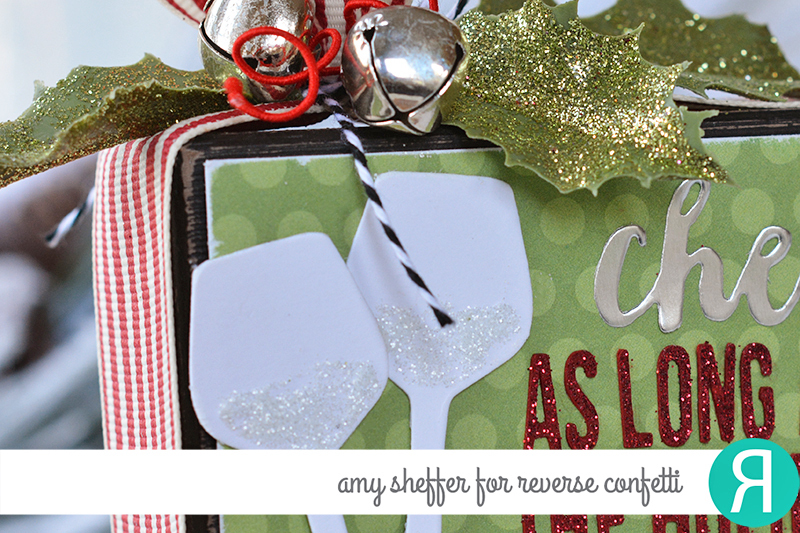 I framed the stamped image with a Lacy Scalloped Circles Confetti Cuts die in RC Aqua card stock. 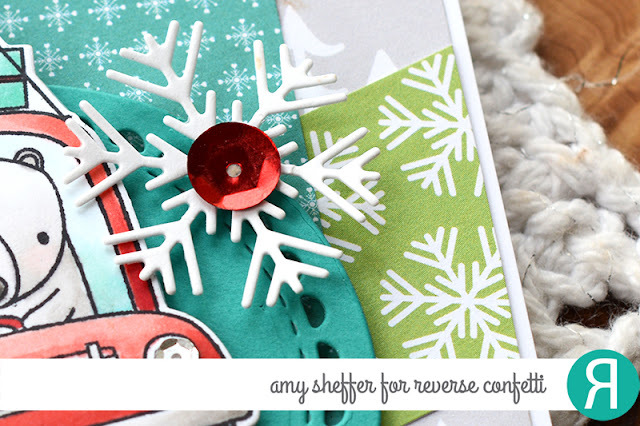 A pair of sequin-topped snowflakes, die-cut with the Snowflake Trio Confetti Cuts dies, are perfect wintry accents. 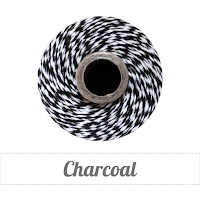 I couldn't resist adding a bit of Charcoal Striped Twine to the top. Love that stuff! Be sure to check out the Reverse Confetti blog today, too. Lots of the design team is sharing samples to inspire you! 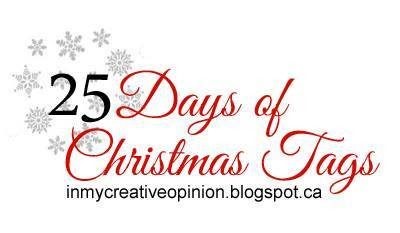 I'm back today for another go at Tracey McNeely's 25 Days of Christmas Tags series. Today is Day 25, and Jillibean Soup is the featured sponsor! Be sure to visit Tracey's blog for all the details, including how you can join in the fun for a chance to win prizes. I started with a Jillibean Soup Chalkboard Tag. 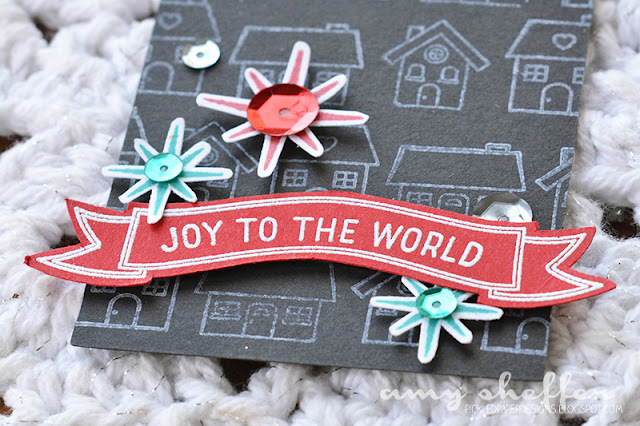 The sweet little houses and the sentiment banner are from the Peace, Joy & Love stamp set. The stars are from the Ornament stamp set. Last, I added some Adhesive Sequins for some sparkle. 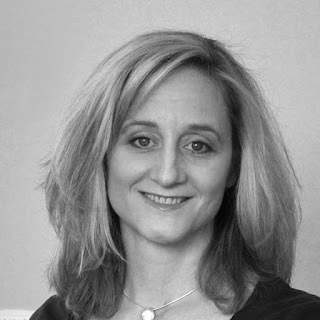 Don't forget to visit Tracey for lots more Jillibean Soup tag inspiration. Thanks for visiting! 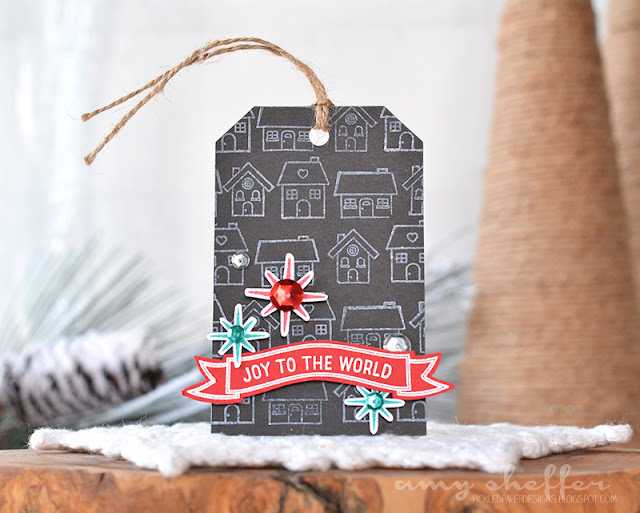 One thing I look forward to each fall is Tracey McNeely's 25 Days of Christmas Tags series. 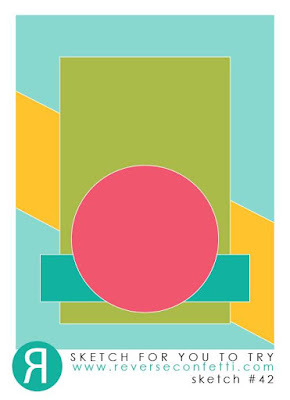 Such a fantastic showcase of tag designs of all styles -- truly inspiring! I started by building a wreath using the Leafy Wreath Confetti Cuts dies. I love that you can go with a simple diecut base layer as your wreath, or build up layers with all the little extras that are included in the die set. It's no secret I love my layers, so I opted to tuck in lots of different bits and pieces to create a very full look. 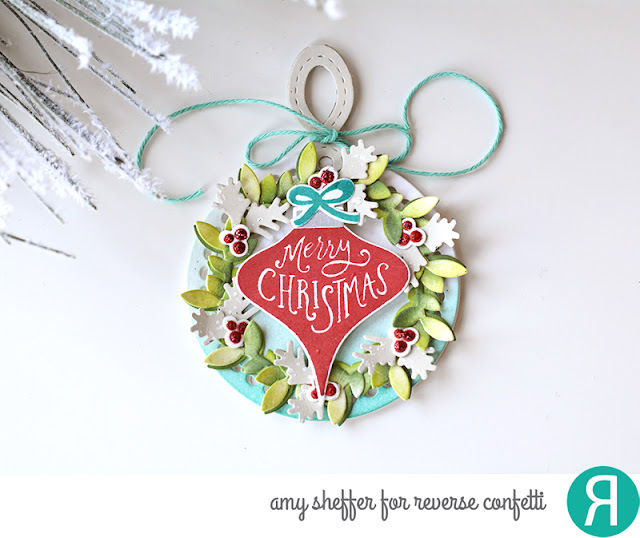 The base of the wreath was cut from Cloud White card stock, then sponged in Reverse Confetti's Lime Green and Avocado inks. Next I added extra leaves, branches that I cut from Stone card stock, and berry clusters made of Cloud White and Brick card stock and topped with Ruby Slippers Stickles. 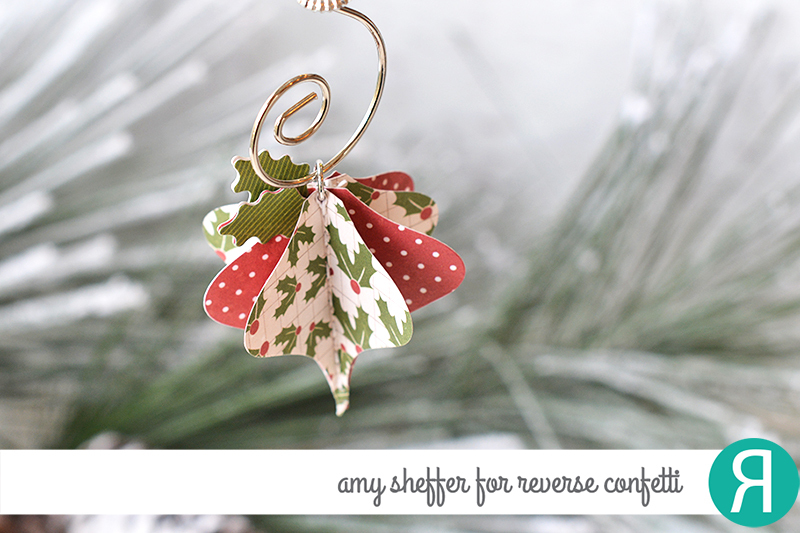 For some added visual texture, I spritzed the Stone branches with white opaque mist. 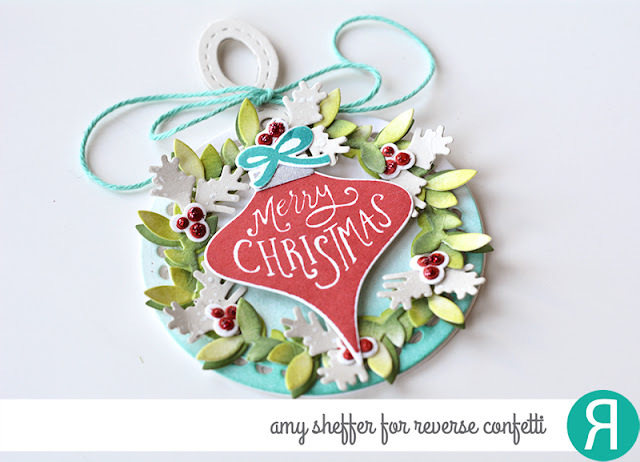 The ornament was stamped with Vintage Ornaments in Brick ink, metallic silver ink, and RC Aqua ink onto Vintage Ornaments Confetti Cuts die-cuts. I adhered the wreath and ornament to a circle tag base that I cut using a Lacy Scalloped Circle Confetti Cuts die. To the top, I attached a Hang Ups, Too tag hanger in Stone card stock and accented with some Caribbean Solid Twine. I cut two Lacy Scalloped Circles for the tag base, so that I could add a stamped "to/from" to the inside. I used an image from With Love for that. 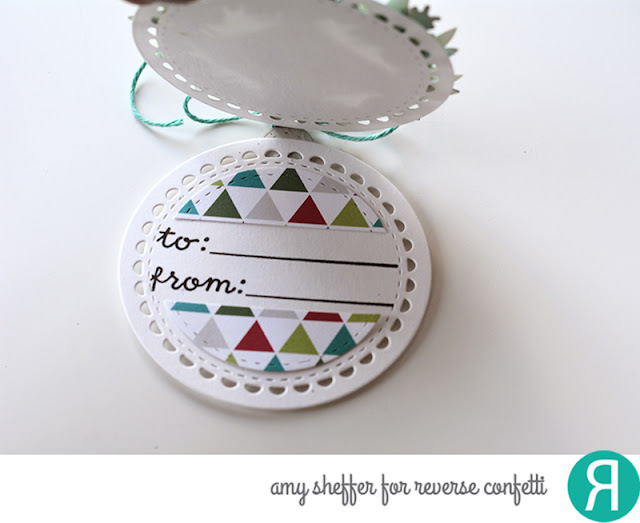 Last, I cut a stitched circle out of Very Merry patterned paper, cut it down, and added it above and below for a little extra color. 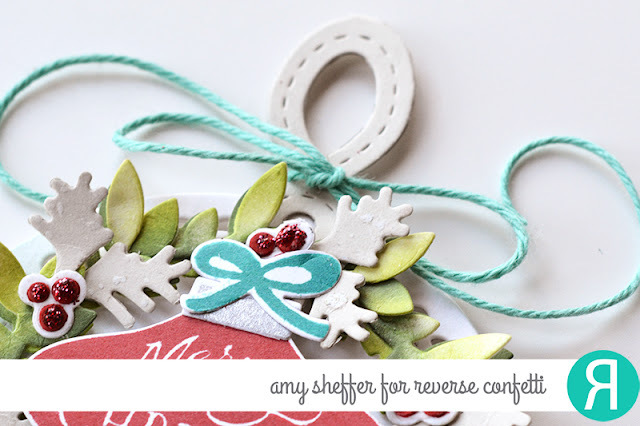 Visit Tracey for her tag as well as links to the rest of the designers posting today. Thanks for visiting! A "just for fun" card to share today using products from a mix of manufacturers. 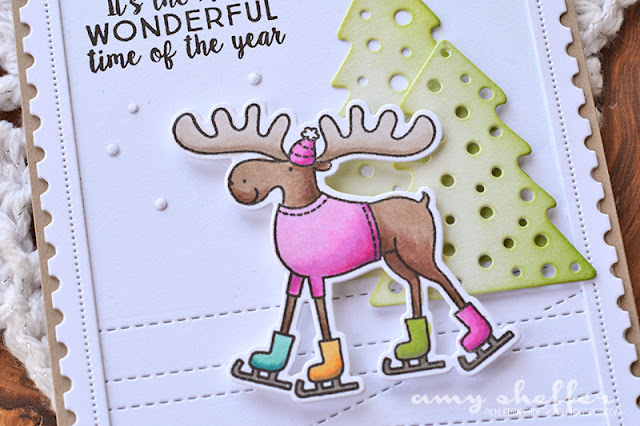 The darling moose is from Avery Elle's Snow Much Fun, the trees were done with Papertrey Ink's Tiny Town: Holiday Yard dies, and the frame and stitched lines were done with the Stitched Strip Die-namics by My Favorite Things. I adore this little fella, and colored him with Copics in some bright and fun colors. The Stitched Strip Die-namics die that I used for the criss-cross stitched lines reminded me of the lines ice skates leave in ice. 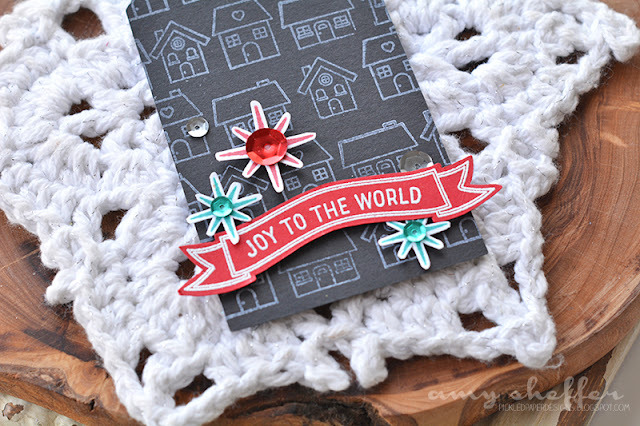 I used the holes from the Tiny Town: Holiday Yard trees as falling snow. And the postage frame was done with Avery Elle's Postage Stamp Elle-ments die set. 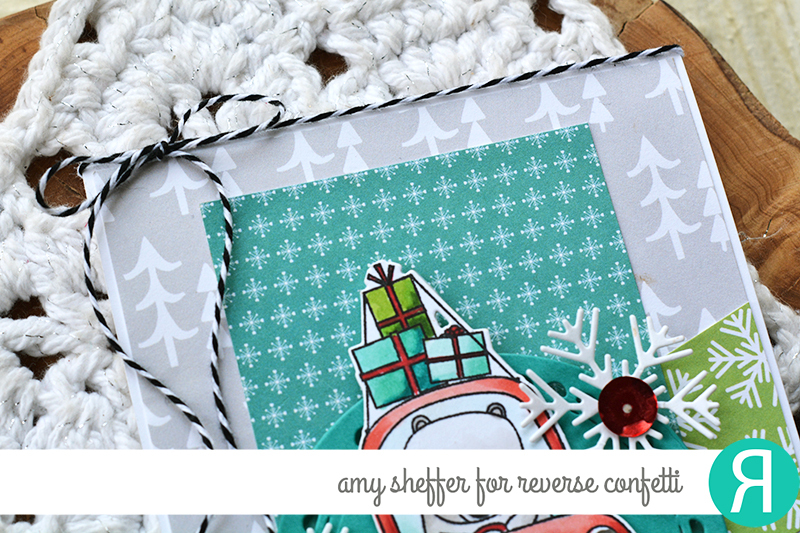 I'm linking this one up to the current Christmas Critters Simon Says Stamp Wednesday Challenge. Hey there, friends (and especially planners! 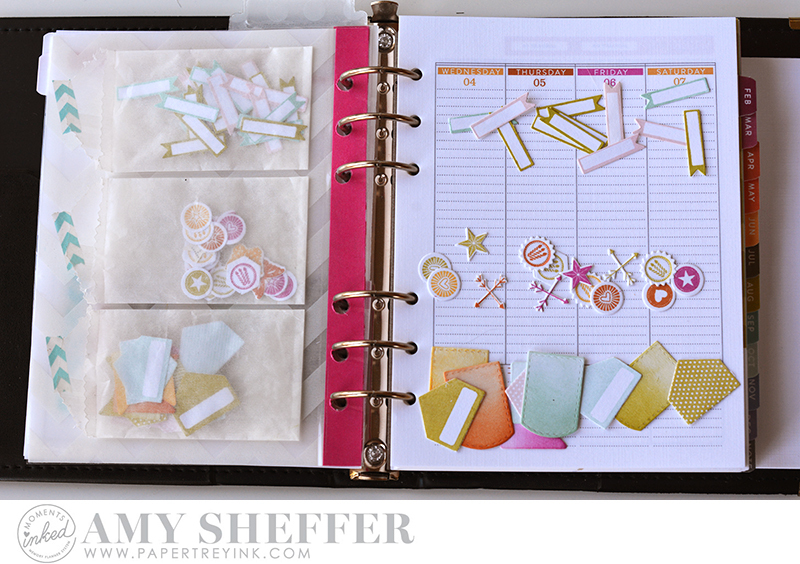 ), after almost two years of using Papertrey Ink's Moments Inked planner, I feel like I've got a good handle on my preferred planner set-up as well as my favorite planning tools and accessories. 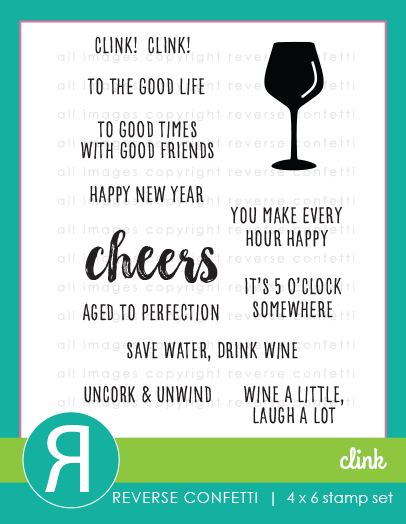 With the holidays approaching, I thought it would be great fun to share those favorites with my planner friends! 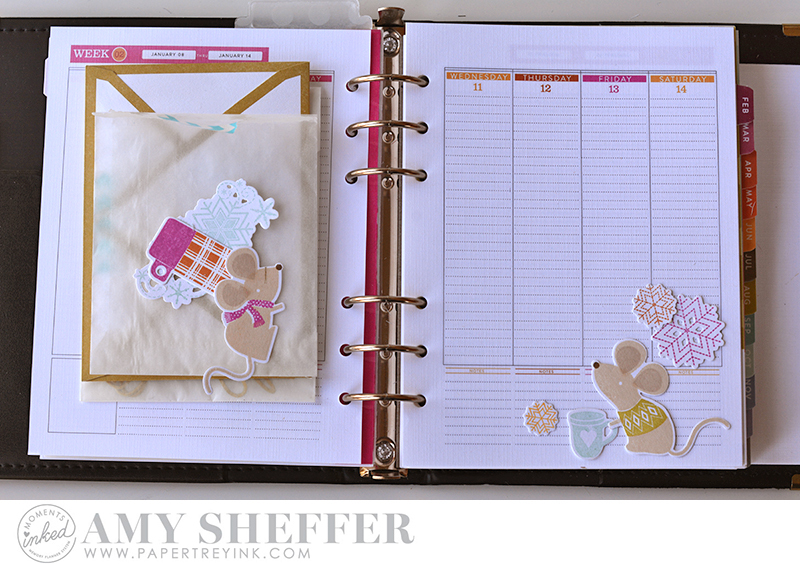 I know I would absolutely *love* to receive a gift of someone else's planner favorites. I pulled various items from my stamp and die stash to put this gift together, and will try to link to all of them, in case there's something specific you like. But making use of those things you already have and love and use is highly encouraged! First, here's a look at how I packaged everything. 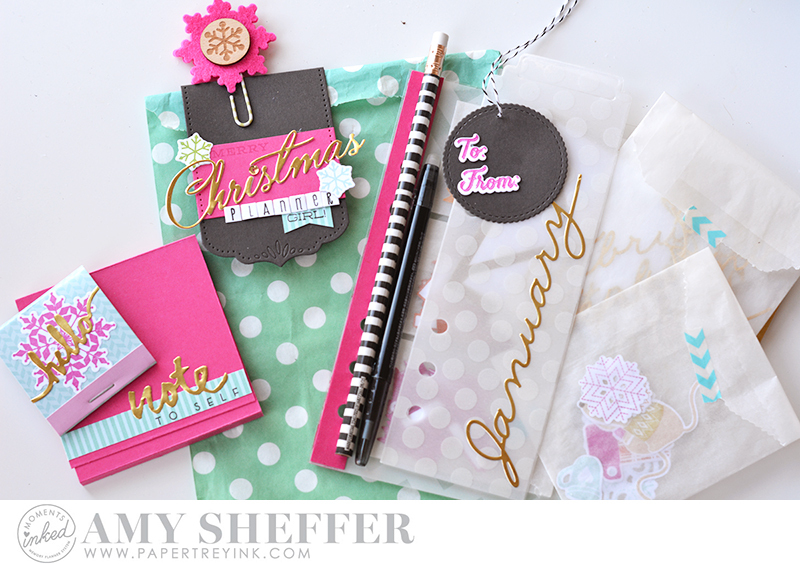 The green polka-dot paper bag is from the Make It Market Mini Kit: Valentine Pin-Ups. I folded a Smokey Shadow Basic Bookmark 3 over the bag flap and secured it with a felt snowflake paperclip. 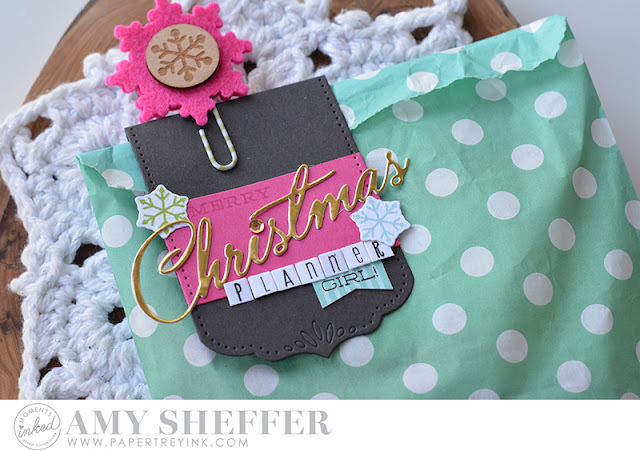 The clip, which is made from two Fab Flakes felt die-cuts plus a wood snowflake accent is also intended to be used in the planner. 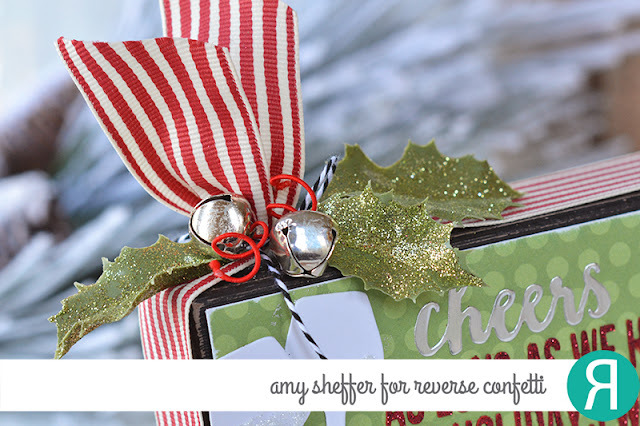 Other supplies used: Make It Market Mini Kit: Holiday Hugs (snowflake die-cuts), Christmas Cheer stamps and Christmas Cheer dies ("Merry Christmas"), Luxe Gold Adhesive sheets, Type Strips III, Type Bits ("planner"), and Make It Market: Clipsters ("girl"). I included two note pads. The larger one, on the left, holds one of Papertrey's 3"x3" white post-it pads. The wrap is a simple tri-fold of Raspberry Fizz card stock, accented with Wet Paint II stamps and a Wet Paint II die-cut. The smaller notepad came in a 4-pack, from Michael's I believe. 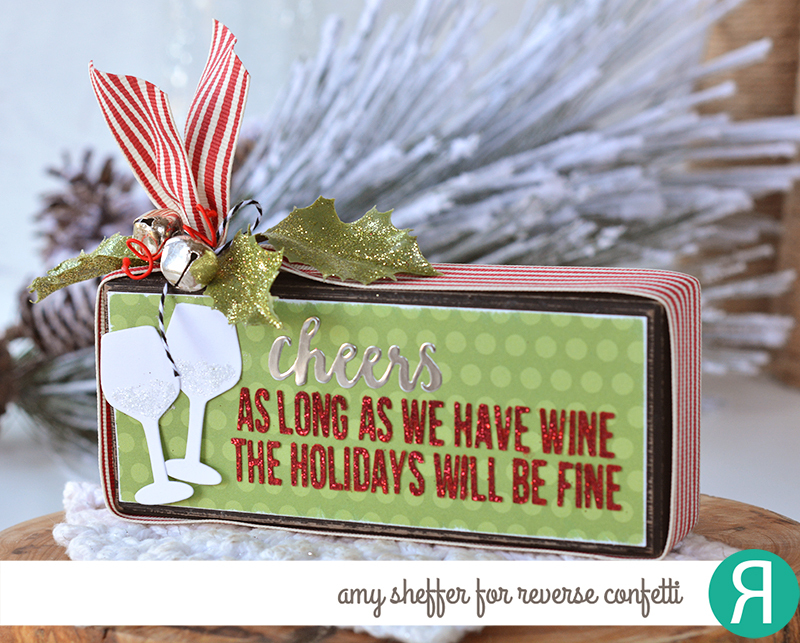 I altered it by adding a stamped and die-cut Fab Flakes snowflake and a metallic gold adhesive Swoosh die-cut. 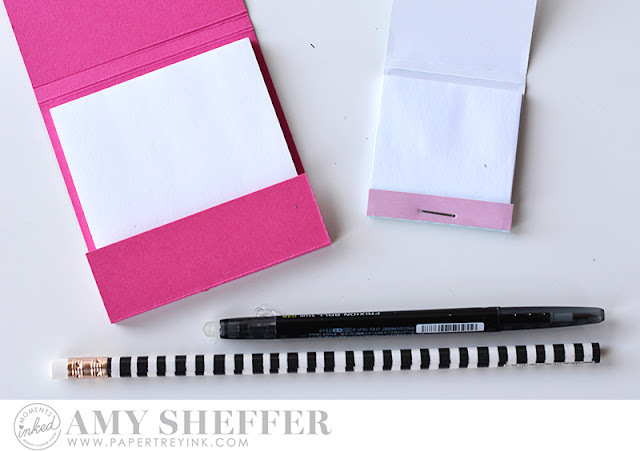 Also photographed are a black striped pencil (found in the Target dollar spot, I believe) and a Pilot Frixion Slim 0.38 in black (my favorite planner pen). 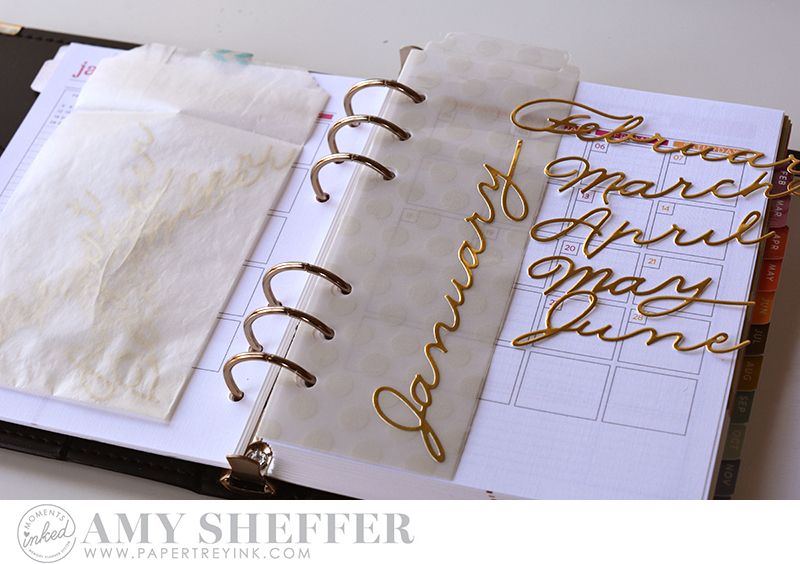 Next is a monthly divider tab, cut from Sheer Basics Vellum using the Moments Inked: Binder Listed die and laminated. 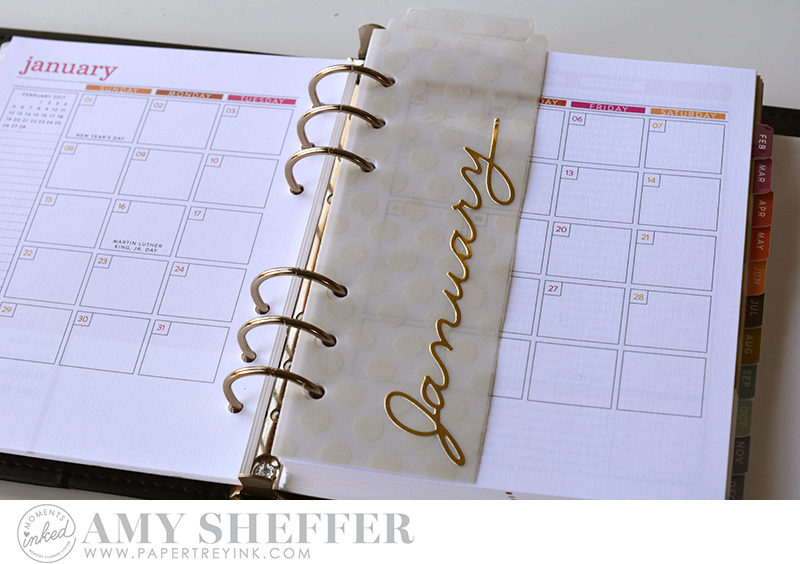 The gold metallic "January" was cut from a Luxe Gold Adhesive Sheet using the Monthly Moments: Year-Round I die set. 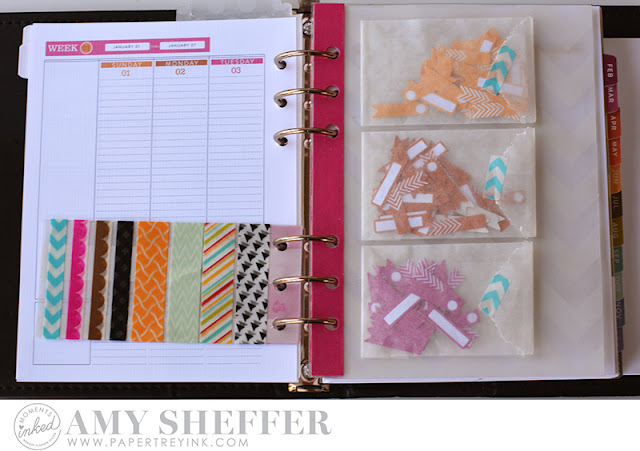 I also cut the rest of the months (using both the Year-Round I and Year-Round II die sets) and packaged them in a glassine bag. I added the sticker after laminating so that it could be easily replaced each month. Next (on the right) is a full Binder Page divider that I cut out of Sheer Basics Vellum and once again laminated. On the front and back, I adhered glassine bags filled with some of my most-used planner stickers. Here you can see various Planner Banners in the January colors. 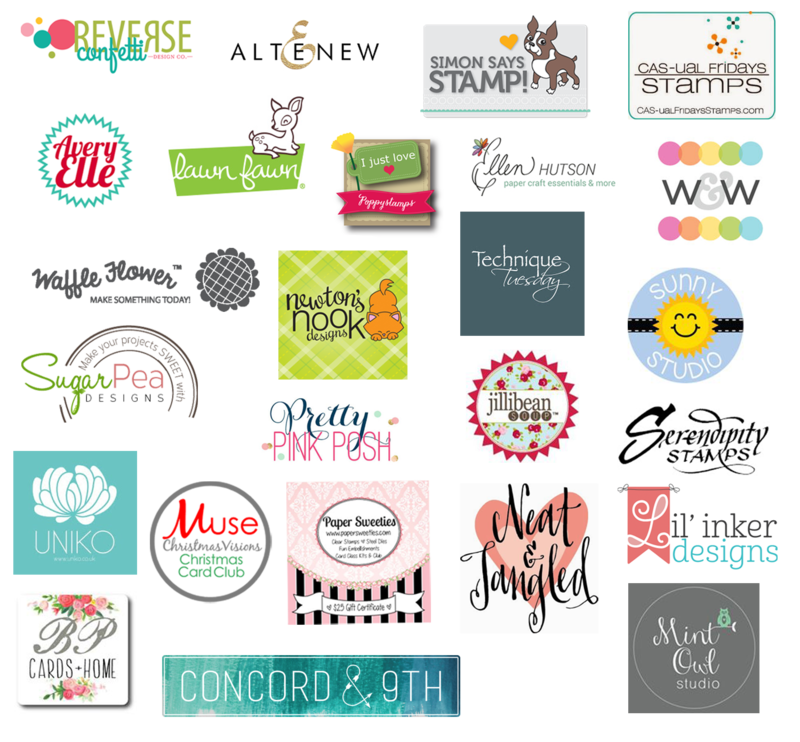 I stamped the banners using the four different planner banner styles for a nice variety (Planner Banners [two styles], Family Banners, Blog Banners). 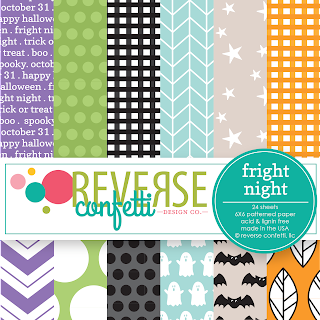 On the back are more Planner Banners in some extra colors to compliment the January colors, some Clipsters accents (these are the perfect size for use in your planner! 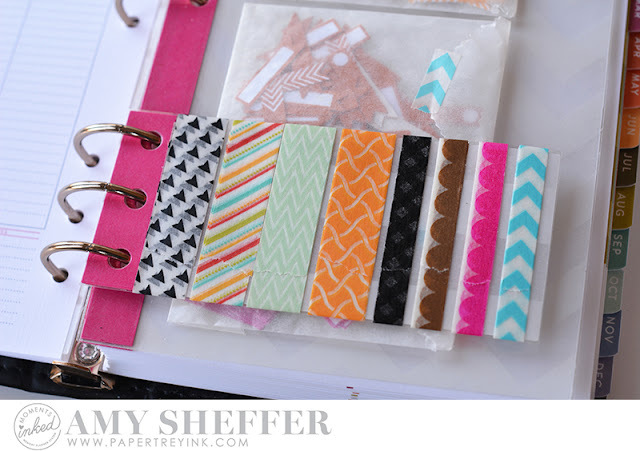 ), and last, some flags that I made using both the Tabbed stamps and dies and Bibliophile dies. Next, I filled a Don't Forget To Write: A1 Gold Seams Envelope with various rectangles that I cut with the Moments Inked: Boxed dies. 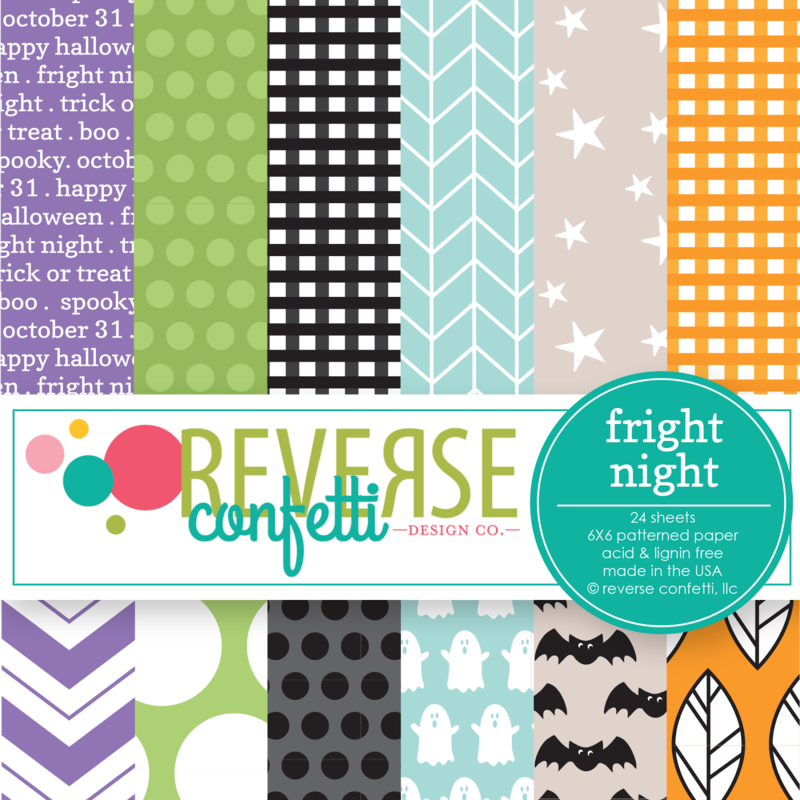 These are great no-fuss ways to add pops of color to your spreads. I used lots of different papers, pulling from the January colors as well as some accent colors (Woodblock Prints, Super Succulents, Canyon Clay Pattern Pack, and Confetti Toss). And last, I included just a sampling of decorative stickers just for fun. 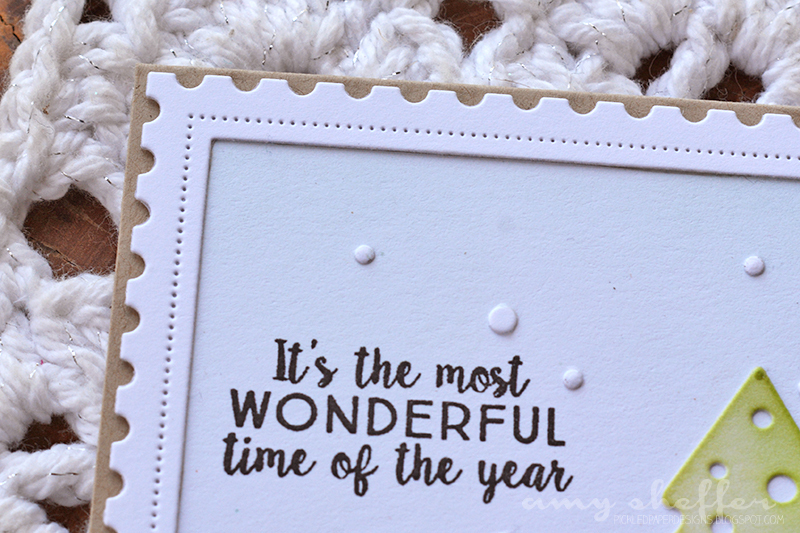 These were done in the January (and complimentary) colors using the following stamp sets: Quilted: Winter, Cozy Christmas, and Christmas Critters. Thanks for joining me today! 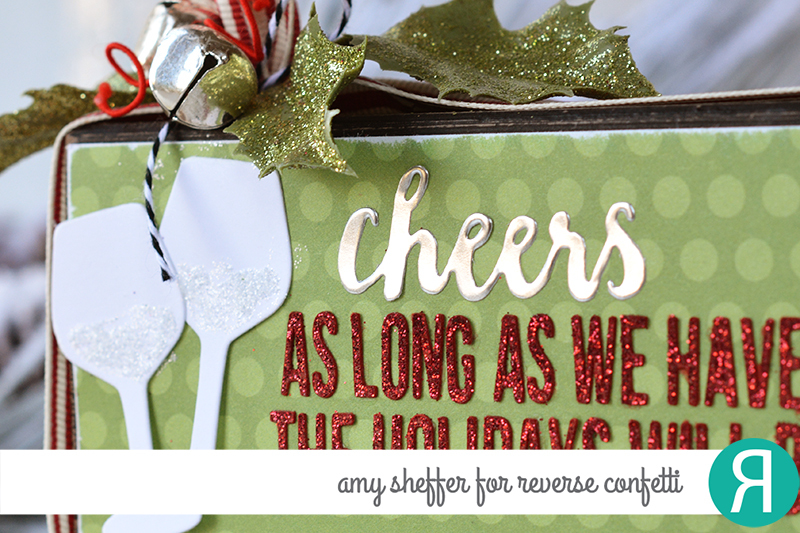 I hope you're as inspired as I am to gift planner goodies this holiday season! 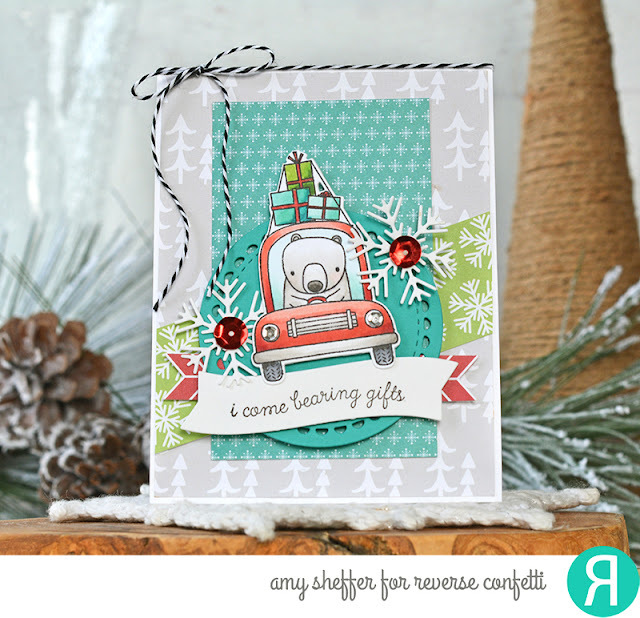 I have one more card to share from Papertrey's November release. This is my take on Betsy Veldman's Dress Up Dolls: Winter Fun set. The puffy coat, hat, and boots are so darling! 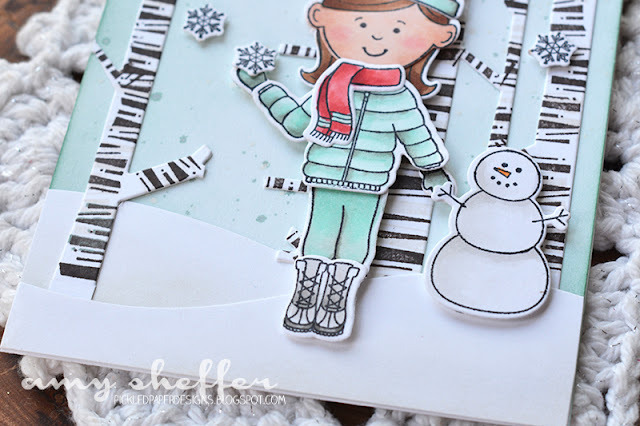 I stamped the girl using Dress Up Dolls: Basics, then dressed her with the new Dress Up Dolls: Winter Fun accessories, and gave her a wintry scene using the Winter Woods Cover Plate die and the Winter Woods birch tree stripes image. The adorable snowman is also from Dress Up Dolls: Winter Fun, and the snowdrifts were done with Sentiment Splits: Curve Vertical and the Waves Cover Plate die. My kids are already wishing for snow days! Reverse Confetti is wrapping up its CRAZY FOR CHRISTMAS showcase today with the theme Home Decor & More. Join the crew for all sorts of ideas for stretching your stamping supplies beyond the typical card and tag! 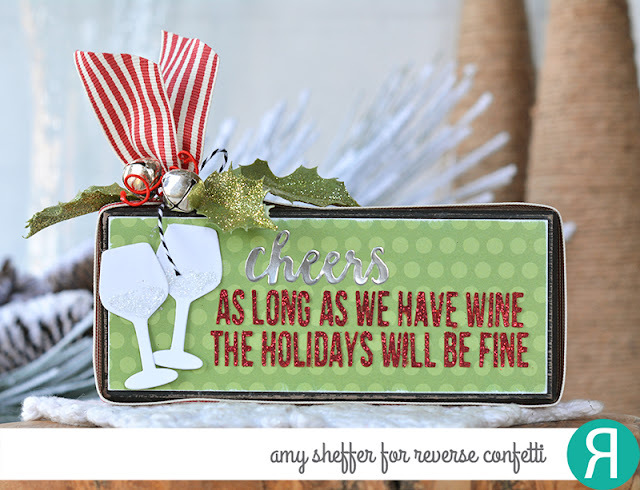 I was browsing through Home Goods recently and saw a funny sign with this same sentiment, and of course, thought I could make something like that myself! For the base, I found a sign for $2 in the clearance section at Marshall's, and decided it would be way easier to alter that sign than to visit the home improvement or craft store for a slab of wood to paint and sand. First, I wrapped a length of red and white striped ribbon around the block, tied it off with some Charcoal striped twine, and accented with glittered holly leaves (from a Michael's floral pick) jingle bells, and some red wired cord. I cut a piece of patterned paper from the Fright Night paper collection and adhered it to the front of the sign, leaving a small border of black showing.The two wine glasses were cut from white card stock using Clink Confetti Cuts dies. I dabbed on some Frosted Lace Stickles for some sparkling wine filler. 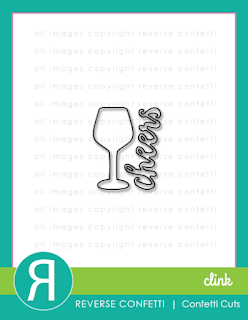 The word "cheers" is die-cut from silver metallic adhesive paper, also using the Clink Confetti Cuts dies. The rest of the sentiment was cut with my Silhouette from Brick Card Stock, then coated with red glitter. It turned out cute, and came together so quickly!